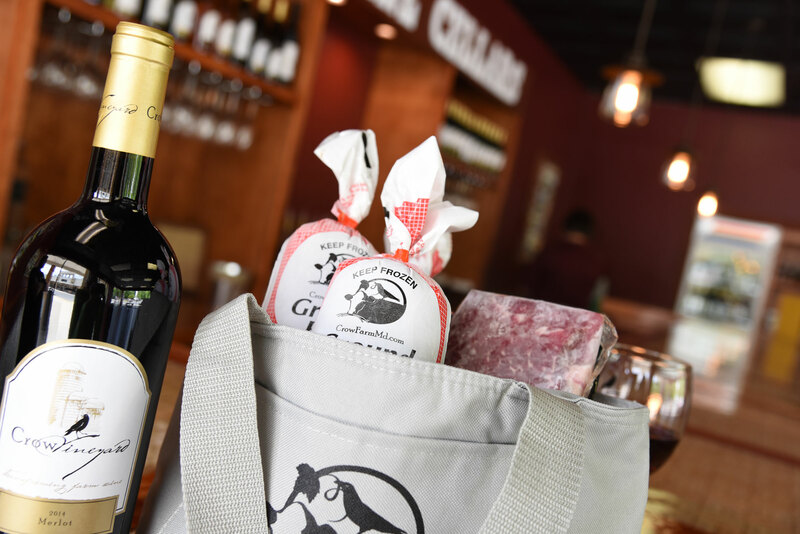 Visitors to the store can enjoy special wine tastings, purchase a bottle or case of Crow Vineyard wines and Crow Farm Grass-fed Angus Beef. The goal will be to make it easy to purchase local and experience the quality of their premium wines so they come back on the next shopping visit. The store is a relaxing oasis from fast paced shopping but it also caters to the busy shopper. One can purchase a gift-wrapped bottle of wine ready to go for a party hostess or grab tonight’s dinner and wine all local.